Jared Merlino, one of the leading lights of the Sydney hospitality scene, has opened a new, all-day Italian eatery and bar in Surry Hills. Caffe Bartolo – located in the space that used to house Bills on Crown Street – represents a new direction for Merlino (co-owner of Lobo Plantation, Kittyhawk, and Big Poppa’s), with the kitchen and bar both operating for the venue’s full opening hours of 7am-12am. Named after Merlino’s great grandfather, Merlino says the venue is a tribute to his late grandmother Mary – who passed away in mid-2018 – and her Italian lineage. In charge of the kitchen is former head chef of Fratelli Paradiso in Potts Point, Teofilo Nobrega, who serves up an Italian breakfast menu from 7am-12pm and a lunch and dinner menu from 12pm-12am – “the idea being that you can eat at any time of the day without restriction,” Merlino explains. Pastas are made fresh every day, and there’s also an in-house pastry chef who looks after the morning pastries. 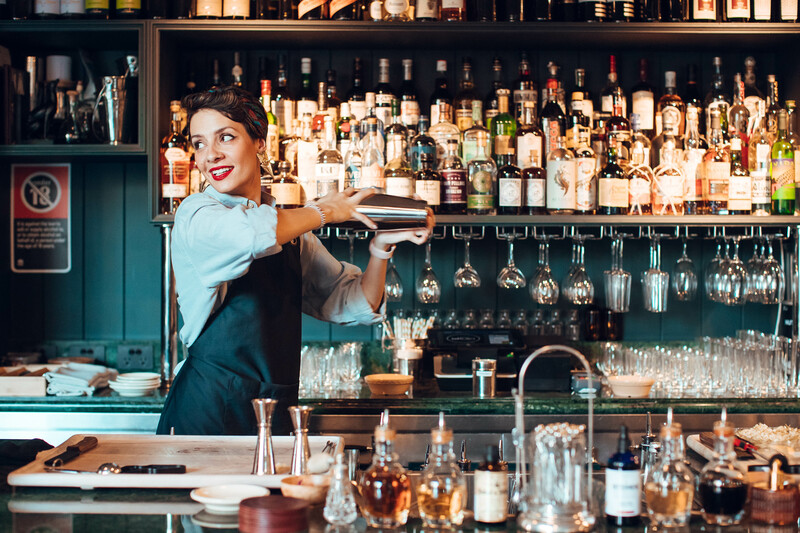 On the drinks side of the equation is Grazia Di Franco (pictured above), who has worked with Merlino to design the vermouth-driven, easy-drinking cocktail list that suits Caffe Bartolo’s style of dining. 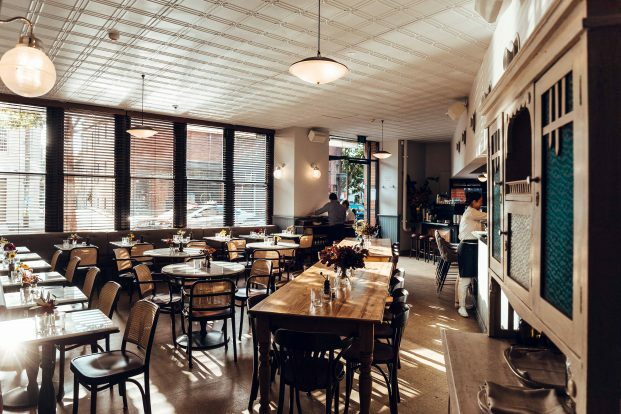 “The idea that Grazia and I came up with was to have the list focus on low ABV style drinks where [guests] are able to have several over the course of a meal,” says Merlino. “So, less spirit-forward style drinks and letting more of the flavours of the components come through. For example, one cocktail proving to be a hit with punters is ‘The Sea’ – made with Manzanilla Sherry, Mancino Vermouth, Secco, Bianco Verjus and Lemongrass – and built over large cut ice from Bare Bones, finished with a spray of saline solution. “It’s light and delicious and sits alongside Italian food very well,” says Merlino. With such an array of options on offer for different guests throughout the day, where does Merlino think the Caffe Bartolo concept fits in the broader hospitality scene? “We want to see Bartolo bring great cocktails and food to both the brunch and lunch space, as well as being a great dinner venue,” he says. “We want people to have access to amazing drinks and food throughout the entire day. “We’ve had great feedback on the cocktails so far so we hope to establish an amazing two person cocktail bar as a cocktail institution inside Caffe Bartolo, showing that you don’t need a huge venue to produce great drinks – something many legends have already achieved in this city, and we just want to add to that.